fashioned to a particular taste, purpose, need, demand, etc. 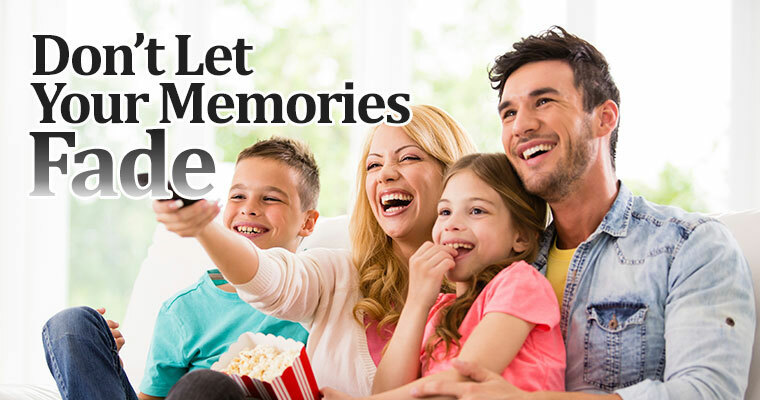 Tailor-Made Film & Video Transfers will preserve your memories with professional home movie film transfer, videotape transfer, photo transfer, and slide transfer to DVD using our "Tailor-Made" 100% digital process. Since 1985, our goal has always been to provide the highest quality service, both technically and personally, to every customer at a reasonable price. Tailor-Made takes extra steps to not only preserve your treasured memories, but to enhance them using the latest technologies. Every transfer, whether it is 8mm, Super8 or 16mm home movie film, videotape, black and white photos, or slides, is Tailor-Made to create a one-of-a-kind digital masterpiece you will be proud to share with your friends and family. All of Tailor-Made Transfers services include special attention to details such as cleaning of film, high-resolution scans of photos and slides, color correction, and using proprietary technology to make your distant, faded memories seem like they just happened yesterday. Unlike many other transfer services, Tailor-Made includes production enhancements such as background music, DVD thumbnail menus, opening titles, and custom printed DVD label at no additional cost. Isn't it time to gather all those old movie film reels, videotapes, photos, or slides collecting dust in your attic and let Tailor-Made Transfers preserve them forever?